After quite some time painting and assembling aircraft and AFV's it was time for something completely different. A wee while agi I found a cute Matchbox aircraft that I thought would make an ideal flyer for a HotT Orc army. 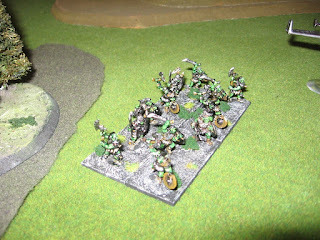 It was a good plan, but with that one flaw: I don't have a 20mm HotT Orc army. Solution? 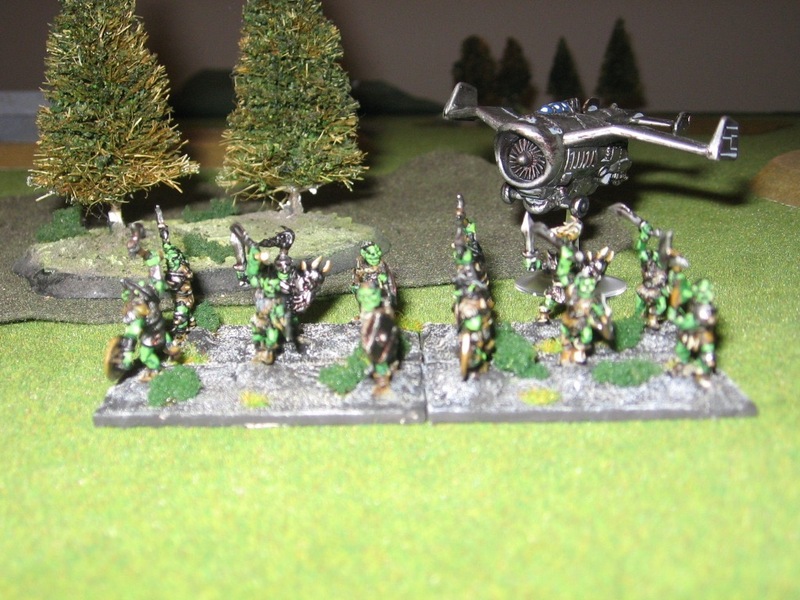 Buy some 20mm orcs and paint an army. OK. Let's create an orc army. Now, when I create new HotT armies I usually try to create an army with a different composition so that each army plays a little differently. 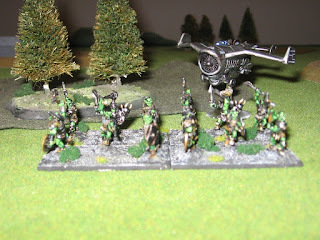 The 'flyer' might be an aerial hero, while the orcs? 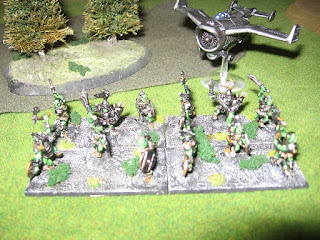 Well I have one army with a few warband, but orcs? Well, they are very impetuous, very.. um .., warband'ish. So 6-89 warband will be the core of the army. The box of figures also contains some spear, and some figures that might make good blade.. in my mind a nice representation of some very damned hard fighting orcs, maybe the 'elite' of the orc clan. They'll come soon. Mention the battle of Verdun and those who have even heard of it develop that misty glazed look as they contemplate horrors that no man or woman should ever have to endure. I've just finished reading Alistair Horne's account of the battle 'The Price of Glory'. This was the Penguin 1993 revised edition of the book that Horne first published in 1962. Horne's account is gripping, reflecting the brutality and horror of the battle as well perhaps as any words can to those of us who have never known such things. It does however come from the anglo-centric stable of World War One histories, and early on I found myself reading words that planted a seed of scepticism in my mind. On first seeing a portrait of Falkenhayen, one's immediate reaction is: 'this is a typical Prussian general'. The hair is closed cropped, the nose well-bred, the features vigorous and stern. The eyes have that Prussian down-turn at the corners - a suggestion that in some far-off age there was an infusion of fierce blood from the Steppes into the Teuton stock. They flash with hard intelligence, and imply a capacity for ruthlessness and possibly cruelty. 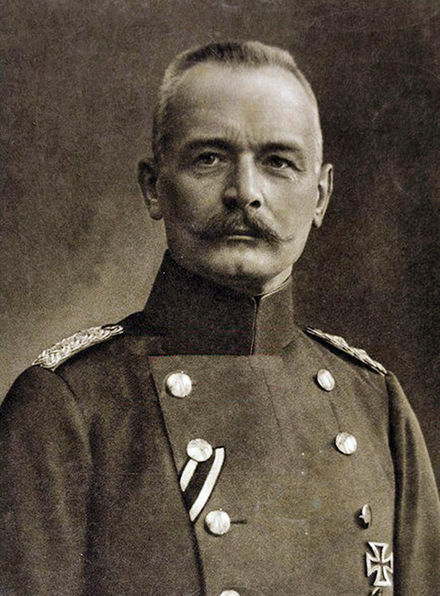 But when one comes to the mouth, partly concealed under the aggressive military moustache, the whole picture changes. It is not the mouth of a determined leader, a man of action, but that of an indecisive, introversive man of thought, and the sensitive, dimpled chin confirms the implications of weakness. Words like phrenology popped into my head as I read the words, and it left me with the seed of doubt, reading the text with more than the usual critical lense. That said, the book has a lot to commend it in terms of its overall analysis of the battle. Horne identifies some of the tactical innovations that came from the collective problem solving inherent in the battle: the refinement of the infiltration tactics that were the hallmark of the German spring offensives of 1918, Nivelle's creeping barrage, and the first use of phosgene gas. He makes the point that Nivelle's development of the creeping barrage and its use in two late attacks at Verdun also held the key to his disastrous offensives on the Chemin des Dames in 1917, as the German high command had the opportunity to analyse his 'new' artillery tactics. The pattern provided German commanders with sufficient notice of the attack (although security itself was also seriously wanting) that they pulled their defences back some distance to avoid the casualties that might otherwise be experienced. The result was that the French attacks ran up against untouched German defences. Overall? The book is worth a read as long as you are able to balance it against other perhaps more up to date analyses and interpretations.